In recent mobile teardowns, ABI Research pinpoints that Chinese mobile manufacturers must prioritize handset customization to include higher quality audio. Many top- and mid-tier phones are breaking away from standard chipsets to include custom point solutions that improve the audio quality on both sides of calls. For instance, Samsung Galaxy C9 Pro relies on Cirrus Logic’s low power audio codec (CS47L15), which combines with NXP’s audio amplifier (T9897B) to form an always-on, low-noise, Hi Fi audio system. 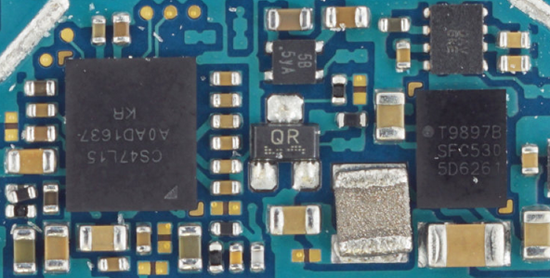 Manufacturers like Samsung are making it clear to the public that they are supporting high-quality audio by mentioning the specific audio chips responsible for producing the extraordinary audio quality in their marketing campaigns. The importance of this industry trend is also evident through recent acquisitions of high quality audio chip companies, including Knowles’s purchase of Audience, Qualcomm’s pending purchase of NXP, and Cirrus Logic’s purchase of Wolfson. These findings are from ABI Research’s Teardowns, which include high-resolution photos and x-rays, pinpoint power measurements, detailed parts lists, and block diagrams.